Candidates should posses Post Graduation Medical Degree (MD/ MS/ MDS/ DM/ M.Ch/ DNB or equivalent in the concerned speciality recognized by MCI and registered with Medical Council of India or State Medical Council for Post 1, 2a to, 2d, 6, MBBS (PG Degree/ Diploma/ M.Sc Medical) in concerned speciality for Non Medical persons from medical institute/ Faculty for Demonstrators for Post 3, 4. Individuals applying for GMCH Sr Resident Recruitment can have their age in the below-given age limit. For Senior Residents, Central Casualty Services – 33 years maximum. Demonstrator, Emergency Medical Officer posts – 30 years maximum. 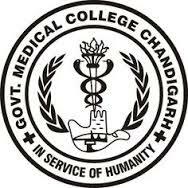 Refer GMCH Chandigarh Sr Resident Jobs Notification for Age relaxations of different categories. The selection of the candidates will be based on written test and interview. No separate letter for written test and interview will be sent. Candidates who clear interview round are selected for Senior Residency, Medical Officer, Demonstrator Vacancies Job Vacancies. uploaded at the time of filling up of Online Application Form. Registration Number/Application ID printed on it, for further enquiry. this Advertisement and shall close on 21 .06.2017 at 01:00 P.M.